This is the house side of Marcel Knopf, would you like to dive in? With his longplayer Marcel Knopf tries a very different approach towards his music and this time he enters to the playground of house and groove. 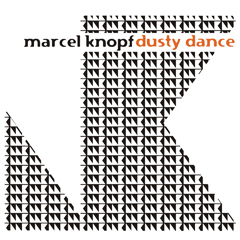 Hard to believe chords and vibes from the young producer Marcel Knopf. Mo's Ferry productions has entered to different territories with this album and they also may ba trying to say that they are also not reckless towards intimate and old school house beats. There is even vocal house in this "Dusty Dance" LP! A real journey through Marcel's deep electronic universe full of surprizes and pleasing moments. There are still strictly Mo's Ferry tracks in the LP like the name track "Take A No" but this sound is completeley different of what he has been doing around some time ago. He is very good at this and Marcel Knopf really did a very good album. A variety of sounds all very well crafted. Mo's Ferry crew should be proud.